First public performances by contestants in The Third Hong Kong International Piano Competetition at Hong Kong City Hall on October 28th, 29th, 30th, 2011 by Elmar Gasanov, Min Hao Tsai, Keina Sato, Han Chen and Soo Jung Ann and Giuseppe Andaloro from Sicily who won the first prize. 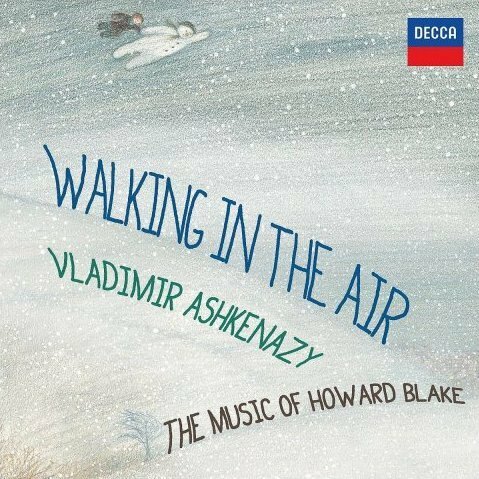 Howard Blake – "Speech after Long silence"
Pianist Sasha Grynyuk who stepped in so brilliantly to take Howard's place in concerts in London during April-May 2015 has chosen to play this virtuoso test-piece composed for the Hong Kong competition in 2011 at the behest of Vladimir Ashkenazy. We wish him the greatest good luck! The programme will include works for piano by Bach, Brahms, Schumann, Chopin, Rachmaninov etc. and in memory of his teacher Howard will give the first UK performance of "Speech after long silence" commissioned for the Hong-Kong International Piano Competition in 2011 and a concert piano version of "Walking in the Air" . For the first time, the Hong Kong Philharmonic graciously agreed to participate and Howard Blake — of flying snowman fame — was expressly commissioned to provide a competition piece...his “Speech after Long Silence” is certainly a pleasing and technically challenging Nocturne, infused with colourful tints from Chopin, Debussy and Scriabin. For this year’s finals, the Mozart piano concerto has been dropped. Word has it that the jury had been disappointing with performances in previous editions of the competition and felt it a chore to differentiate between six middling to mediocre readings. So it has been replaced by a newly commissioned work written for this concours, British composer Howard Blake’s Speech After Long Silence (below).